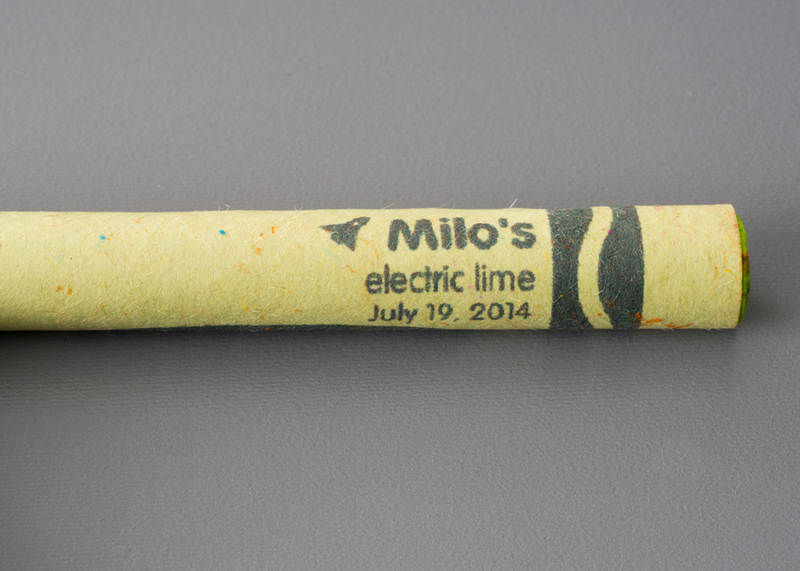 During a recent family trip to visit my wife's parents, we were staying about 10 minutes from the center of all things Crayola in Easton, PA. Ever since Mr. Rogers gave me a TV tour of the Crayola factory when I was a kid, it's been on my mental list of things to check out should I find myself in the neighborhood. I was disappointed to discover that Crayola doesn't offer a true "nuts and bolts" factory tour. 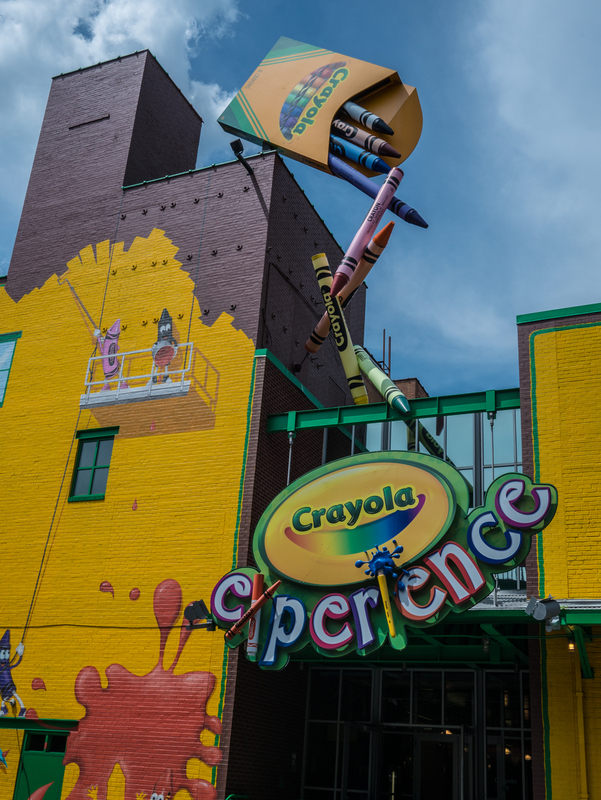 Instead, they've created The Crayola Experience, which consists of four floors and 60,000 square feet of family-focused activities and exhibits. While it wasn't the behind-the-scenes experience I would have preferred, the mini theme park attributes made it a pretty easy sell to my sons. 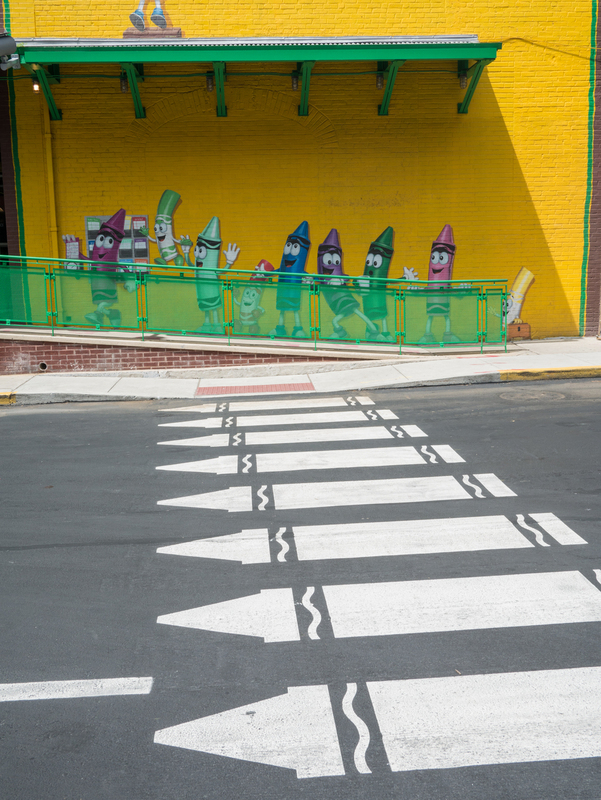 Once we hit the main square of Downtown Easton, The Crayola Experience was pretty hard to miss. 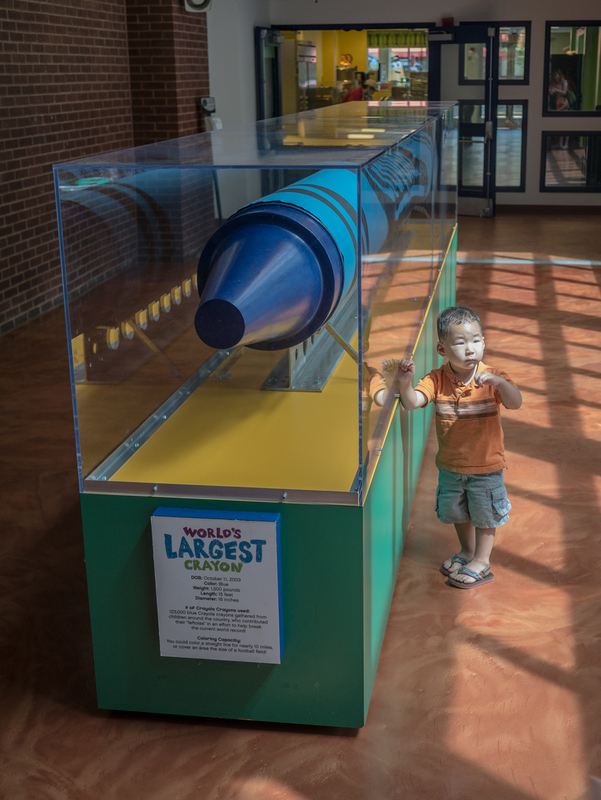 There were some fun educational exhibits and novelties, including the World's Largest Crayon. Tipping the scales at 1,500 pounds and measuring 15 inches long, it was actually created by collecting the leftover nubs of 123,000 blue crayons sent in by children from around the United States. My sons were particularly fond of the many activies in the "melt crayons into sticky goo and do something with it" genre. 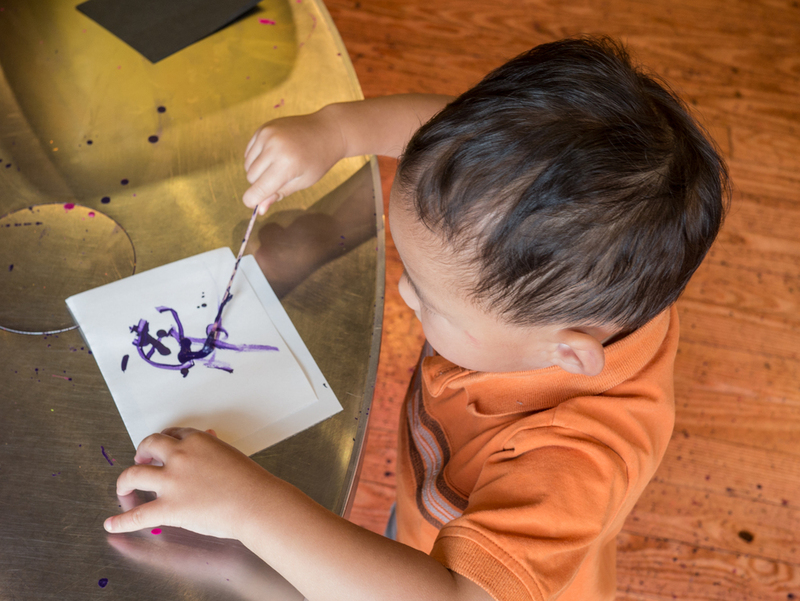 For example, we drew pictures with melted crayon goo. We molded crayon goo into dinosaurs and other objects as well. 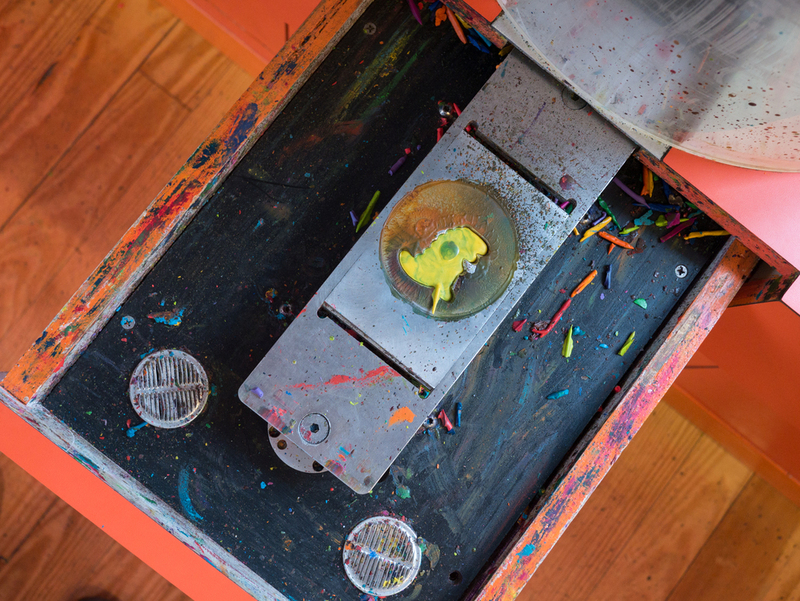 There were also some cool machines where you could manufacture one-off Crayola markers and print custom crayon labels. 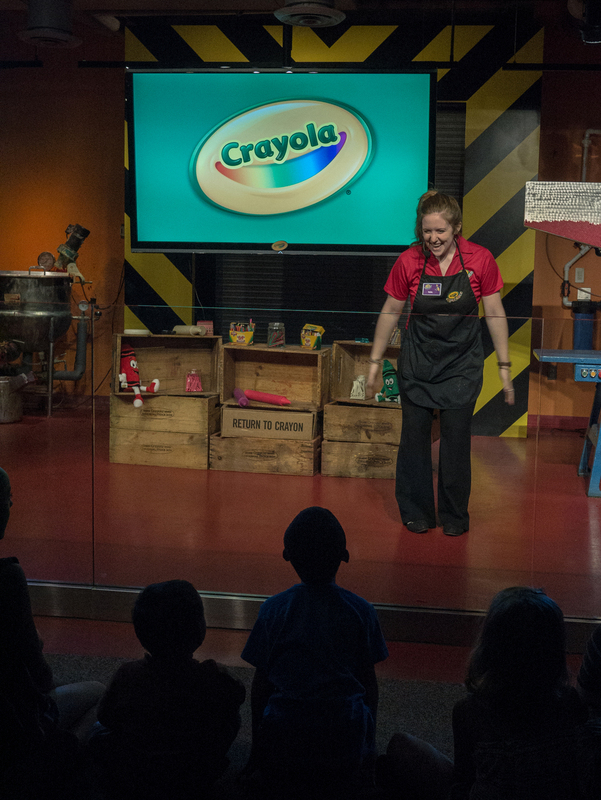 And while we were very obviously not at the real Crayola factory, they did have a well-produced live show where a "crayonologist" educated us about the manufacturing process while making a small batch of crayons. The Crayola Experience is not necessarily a stop I would recommend if you are visiting without kids or looking for a true factory tour experience. But it made for a fun day with the family, and I was impressed with the thought, effort, and investment that went into the various custom exhibits.